For years, streusel-topped, buttery blueberry muffins have been calling out to you in the latte line. Take a bite out of your urges with the Blueberry Muffin Quest Bar, full of succulent berries and chewy cobbler inclusions. 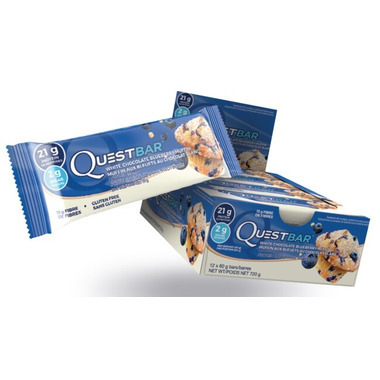 With 21g of protein and 5g net carbs, this bar is a #CheatClean stud muffin. This is the bar that promises food can be both nutritious and delicious. 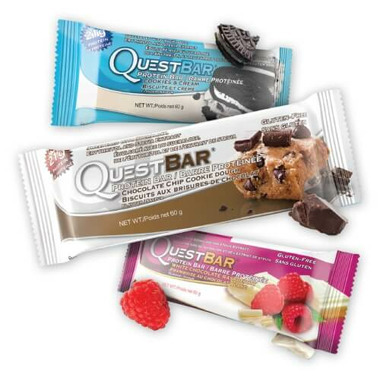 With Quest Bars, you can eat toward your goals and love every bite along the way.